We’re thrilled to announce the launch of Uscape Partnerships, a groundbreaking new program that will introduce exciting brands like LANDWAY and KNOWN SUPPLY to the college store market! At Uscape , we strive to bring a unique combination of high quality products and design to college stores. 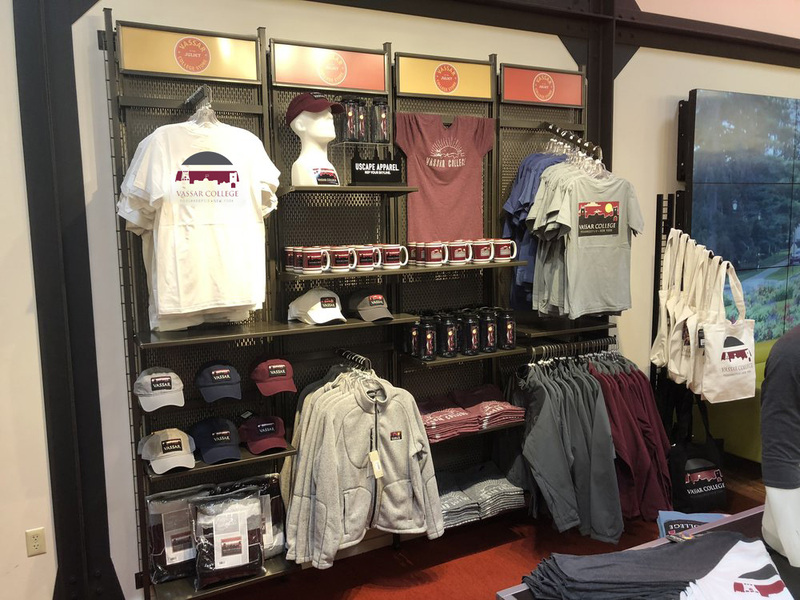 We knew to take the next step and and continue to raise the standard of college apparel beyond boring and generic offerings, we needed some help. That’s why we’re introducing the Uscape Partnerships. We’ve learned that college apparel is a relationship business. It takes a long time to build trust with licensing departments and to win the hearts and minds of students, sales reps, and store buyers. It’s difficult for brands that don’t have existing connections to break into the market. Uscape Partnerships will leverage our strong relationships with over 300 stores nationwide to introduce some of the coolest brands to passionate students, fans, and alumni. Through our partnerships, we’re building an ecosystem of dynamic brands to give the college market what it wants - a way to stand out from standard college apparel. You deserve to be anything but ordinary. In today’s market, college stores are struggling to compete with big-box stores, viral direct-to-consumer brands, and omnichannel retailers if they don’t have a unique product offering and offer a great customer experience in-store and online. Uscape Partnerships is the beginning of a new era in college apparel. College stores shouldn’t be the last to get cool styles and apparel, they should be the first. Students are trend setters and demand high quality, ethically sourced, stylish products that are produced with a mission in mind. Forward looking stores understand that to remain relevant in the age of Amazon and Fanatics, their product lines need to change too. Our new partnerships with LANDWAY and KNOWN SUPPLY will allow our college stores to do just that. College stores have a special place in college communities, it’s time for them to shine again. LANDWAY is a leading outerwear brand with the mission of promoting active lifestyles. The family-owned company got their start manufacturing for well-known outdoor retail brands in the U.S. nearly 30 years ago. With ownership of factories throughout Asia, LANDWAY delivers high-quality, ethically-made products at the best prices. We are excited to bring LANDWAY’s award-winning outdoor apparel to the college market, especially at retail prices you will love! KNOWN SUPPLY is out to humanize the apparel industry by introducing you to the person who made your clothing. Behind every product is a person, and each KNOWN SUPPLY product is hand-signed by the woman who made it. Uscape is thrilled to partner with KNOWN SUPPLY to bring an unprecedented level of transparency to the college apparel market for the first time. We can’t wait to share more about our new partnerships in the coming weeks! Follow us on Instagram @UscapeApparel for all the latest on LANDWAY and KNOWN SUPPLY. Are you a brand that wants to learn more about Uscape Partnerships and join our ecosystem? EMAIL US We always love to hear from brands that are looking for new ways to reach the exciting college market. Let’s work together! Each December, as college students go home for winter break and things slow down around the office, we take the time to look back on the year, think about the places we've been, and dream up where we're headed. 2017 was a huge year for Uscape! Not only for our team, but also for the 300+ colleges and universities we're honored to partner with. This year was a year full of tremendous milestones and growth - adding new team members, 155 accounts, and countless new designs to colleges all over. We experienced growing pains and challenges, (like the time our entire booth was broken into at our CAMEX trade show!) but came out stronger and better prepared to handle whatever comes next. Your excitement for the brand keeps us motivated to continue introducing more styles and designs that challenge the status quo of the industry standard's basic college tee and bring great design to college apparel. We love sharing the passion you have for your schools and see them as more than just another customer, but truly a part of our Uscape family. Thank you for making our favorite memories from this year possible and for allowing us to continue the dream of being the go-to brand for unique college apparel in the marketplace. Added two new members to our team! Lauren, our head of sales, and Winston, our office pup and esteemed Chief Barketing Officer! Introduced a new women’s line to our collection! 4 new pieces designed, created and curated with women in mind. Added 155 stores! Became a vendor for 60 Follett Bookstores and added 95 independent stores across the country- allowing schools big and small to Rep Their Skylines! Started a resort wear business! Became a vendor for a select number of ski resorts- including our family's life long favorite ski spot-Mammoth Mountain! None of this would have been possible without the support of our bookstores, sales reps, and fans. We hope you have a restful holiday season and we look forward to continuing to partner with you in 2018! Cheers and Rep Your Skyline! This fall semester marks our fourth year in business. It’s been a fantastic journey, filled with many opportunities and great relationships. Looking back, we realized that as we’ve grown, we've never taken the time to share how we got here. Some of you have been a part of our story since day one and some just for one week, but each has played a unique role in shaping the company we are today. We’re thrilled to report our first College Colors Day was a great success!